Range Rover Sport is the middle child of the Range Rover lineup, slotting between the compact Evoque and full-size Range Rover. Land Rover has long held a rather oxymoronic position in the SUV market: that of an exceptionally capable and rugged off-road machine with the trimmings and performance of a luxury sedan. However, Land Rovers have not always displayed this two-faced persona. Arriving shortly after World War II, the earliest models focused only on the “off-road” part of the equation, their boxy bodies carrying little in the way of frills. Not until the Range Rover model was introduced in the U.S. for 1987 did the “luxury” aspect fall into place. The Range Rover eventually became the company’s trademark vehicle in America, and continues as the corporate flagship. Recently, smaller, less-expensive models have been added to the Land Rover lineup. The entry-level LR2 starts well under $40,000 and offers Land Rover’s traditional mix of off-road capability and luxury in a compact-SUV package. Just north of there (pricewise) is the Range Rover Evoque, which bowed in 2012 as a stylish spinoff of the LR2. Both are now powered by a 2.0-liter turbocharged 4-cylinder engine. Above that is the midsize LR4, which adds a third row of seats and V8 power for a starting price just under $50,000. 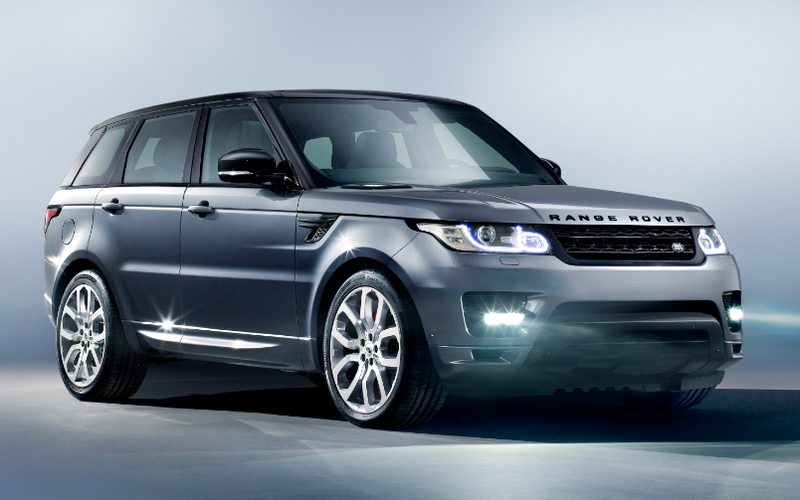 But the best-selling Land Rover has been the Range Rover Sport, introduced for 2006. Although styling mimicked that of the larger and more expensive Range Rover, the Sport was shorter and based on the chassis of the LR4. But “was” is the operative word here, as the Sport has been redesigned for 2014 on a completely new unibody platform. The big Land Rovers had long been built on a husky, truck-like frame. That changed when the redesigned Range Rover switched to an all-aluminum unibody last year, shaving off about 800 lbs. in the process. This year, the Range Rover Sport has been put on the same diet. The new Sport weighs 800 pounds less than last year’s model, and uses dramatically less fuel. While the previously standard 375-horsepower 5.0-liter V8 has given way to a 340-hp supercharged 3.0-liter V6, its loss is felt more in prestige than anything else. One reason for the change was to increase fuel economy, and though the paring of 800 lbs. is certainly a contributing factor, the EPA estimates have indeed improved: Formerly a rather dismal 13 city/18 highway, they’ve risen to 17/23 – a nearly 30% gain. Furthermore, Land Rover claims the 0-60-mph time has been shaved by .3 seconds to 6.9, a nice side benefit. Returning on high-end models is a 510-hp supercharged 5.0-liter V8, but due to the weight savings, it now provides substantially better performance. Land Rover quotes the 0-60 time as 5.0 seconds, nearly a full second quicker than last year’s version. Both engines are coupled to a new 8-speed automatic transmission. One of the reasons the Range Rover Sport has been so popular is that it looked much like the flagship Range Rover without being priced like one. In fact, there has traditionally been about a $20,000 spread between the two, with the Sport starting around $60,000, the Range Rover at $80,000. Those figures have both gone up with the recent redesigns, but not by much. The 2014 Range Rover Sport starts at $63,495 for the base SE model, $68,495 for the step-up HSE (also with the supercharged V6), $79,995 for the Supercharged model (with 5.0-liter supercharged V8), and $93,295 for the line-topping Autobiography. Vehicles in this price class include a staggering number of features, and the Range Rover Sport is no exception. So perhaps it would be most expedient to point out some features that aren’t commonly found in most like-priced rivals. * The standard air suspension not only provides a staggering 10.2 inches of wheel travel (that’s gargantuan), but also allows the vehicle to squat down for easier entry and exit, and raise up by as much as seven inches to clear obstacles or snow drifts. Maximum ground clearance is a whopping 11.2 inches. * Although the standard all-wheel-drive system has a traditional single-speed transfer case, also available is a two-speed case with Low-range gearing for severe off-road use. (We took one of these on an off-road trail—with the regular wide street tires—and it was almost unbelievable what this vehicle can go through and climb over. I would imagine most owners would have looked at that trail and immediately turned back; it was that intimidating. I would have done the same if it weren’t for the Land Rover guy next to me egging me on … and the fact the vehicle in front of me had already made it through.) And if you care, the Range Rover Sport can wade through water up to 33-inches deep. * V8 models include Land Rover’s Terrain Response 2 system that, among other things, includes a function that counters body lean in turns. Usually, this kind of flat cornering behavior comes at the expense of a stiff ride, but these vehicles seemed to combine the best of both worlds, as the ride was surprisingly supple. And the V6 models weren’t far behind in this regard. 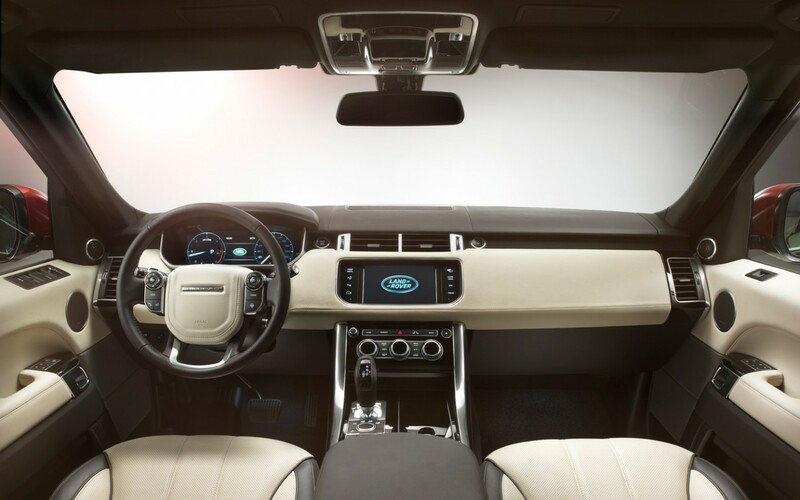 Range Rover Sport shoppers have 11 interior color schemes, four aluminum finishes, and three different wood veneers to choose from. * Interiors are lavishly appointed with a rich mix of leather, wood, and aluminum trim. That might be expected at this price point. 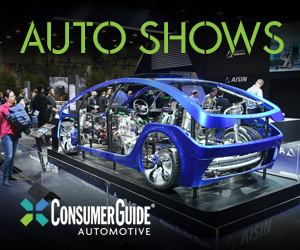 But what might not be is a selection of 11 interior color schemes, four aluminum finishes, three wood veneers, 19 paint colors, three contrasting roof colors, and a choice of wheel sizes from 19 to 22 inches. * Heated and cooled front and rear seats are available, as is a cooled console box. * Also available is a huge panoramic sunroof that provides an uninterrupted opening that extends to just above the rear-seat-passenger’s heads. Although $65K is certainly a lot for an SUV (or anything else, if my pocketbook is involved), the Range Rover Sport is really quite a value when compared to some other like-priced vehicles, particularly luxury sedans. While each price step up (or added option) brings greater power, off-road capability, or luxury, even the base model is an appealing package. Performance is satisfying, the all-wheel drive system is reassuring, the interior is sumptuous, the equipment level is in line with the price … and you still get one of the premier parking spots at the club. Written by: Rick Cotta on October 7, 2013.on March 26, 2019.